I think just about everybody loves Chinese Food but my observation is that it has greatly changed in North America over the last several years. By this I mean that I think initially the Chinese community introduced it geared to our Western tastes. Today, In my opinion, gone are the chicken balls, simple chow meins and egg rolls that I remember from the early 50's and 60's . Not that there is anything wrong with those - and they are certainly not gone in the sense that they are not available any longer - but we Westerners have finally woken up enough to enjoy the real taste of authentic Chinese cooking, whether it be Cantonese, Hunan or Szechuan to name a few. My husband and I always had a taste for the bit of spice that Szechuan offeres although I confess that sometimes we would order it "medium - or tamed down a bit" depending on what the dish was. And for the most part we enjoyed going to a restaurant and ordering speciality dishes. 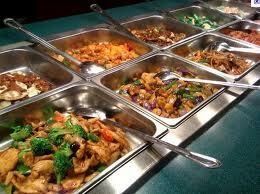 However, if one wants a Chinese Buffet then in my humble opinion there is none better than the Mandarin. The Mandarin started as a small restaurant in Brampton, Ontario a city between Toronto and my fair city of Hamilton. It was a family run business that quickly became very popular with people constantly lined up to get in and have a good meal. 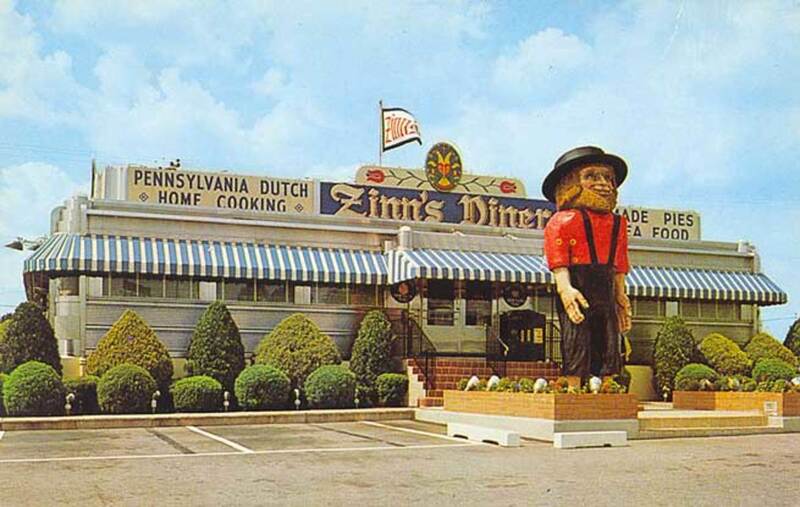 Seven years later they decided to start a bigger restaurant geared to Buffet style in order to be able to accommodate their growing following. Over the years and up to now they continued to grow throughout Ontario to a total of 20 restaurants, one of them being just ten minutes away from me. The Head Office is maintained in Brampton and this is where new dishes are always created and tried out before making their way into the 19 other locations. Craig and I visited the Brampton location twice throughout our years and enjoyed sampling things that would be "coming to our location soon". While they have grown, their family attitude has not changed. Their mission statement is " Every customer must be welcomed as soon as they arrive. Every customer must be happy and smiling when they leave" Indeed not one person gets past the entrance to the Mandarin without hearing "Hello, welcome to the Mandarin" and no one leaves without being offered a mint, held out by tongs, and from a chrystal bowl - while hearing "thank you, and come again". I always start out with the salad bar. Well, in the winter I'll be tempted to have a soup first of which there are usually four different varieties, Egg Drop, Hot & Sour, Won Ton or a Chicken Noodle. I usually have Won Ton. At the salad bar there is lots to choose from. But I am a creature of habit and so my choices are always the same. Peel & Eat Shrimp with tangy seafood sauce, Bean salad, Crab salad - which I love, pickled beets, baby corns and sometimes oyster on the half shell. As Thai food has also become very very popular in these parts, Mango Salad has since found its way to the salad bar too. Not to mention regular green salad and caesar salad, as well as potato salad, but I can get these at home so I usually pass on these. 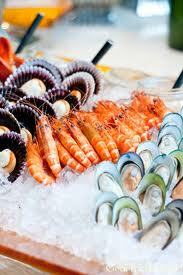 At certain times of the year both crab and lobster are featured on their cold buffet and this is always a treat. One of my favourite memories of taking my mom with us is how much she enjoyed the peel and eat shrimp. Each and every time at the Mandarin she would start off with a bowl of these little delicacies, with a separate bowl of sauce for dipping, and she never deviated from this. 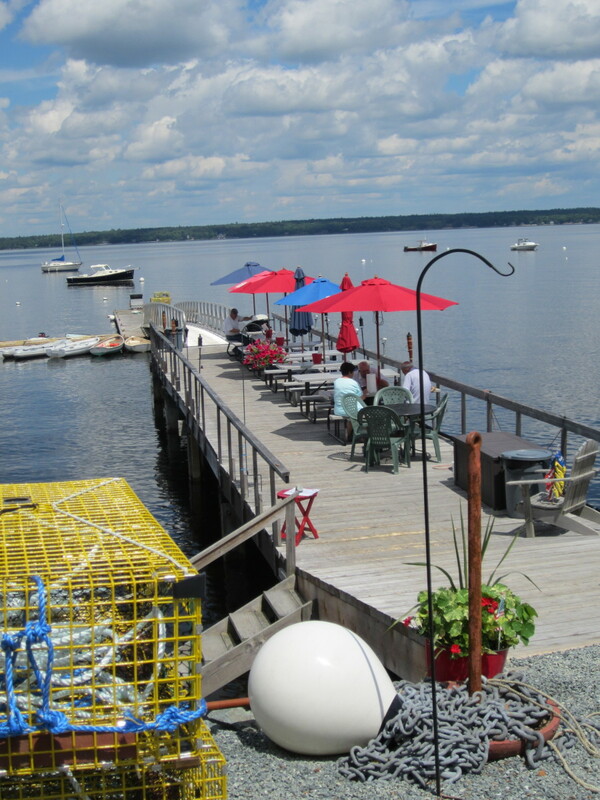 One time a few years ago, the three of us watched with amazement as a gentleman on his own went back and forth to the buffet eating nothing but lobster. It was one of their special seasonal events with lobster being the main feature and I really had to wonder if they didn't lose money on this man. There is so much to choose from on the Hot Buffet that I don't know where to begin. But whether or not your preference is Beef, Pork, Chicken or Seafood - it is all there and in a variety of sauces and spices. If your taste is to spicy then that is designated with a picture of a "hot chilli pepper" on the sign above the dish. 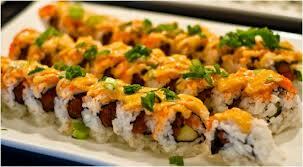 From plain steamed rice, to sticky rice, to fried rice - and on into noodles both tame and hot - it is all there. Shrimp is done both sauteed with vegetables or breaded tempura style. The same with chicken - sauteed with many varieties of vegetables or breaded and served with a lemon sauce "Lemon Chicken" which I happen to like. And the spareribs are yummy too - either BBQ or Honey Garlic. Sweet and Sour pork is another favourite of mine. And yes you can still get your chicken balls, chow mein and egg rolls if you so wish. For myself I prefer the lighter crispier spring rolls. 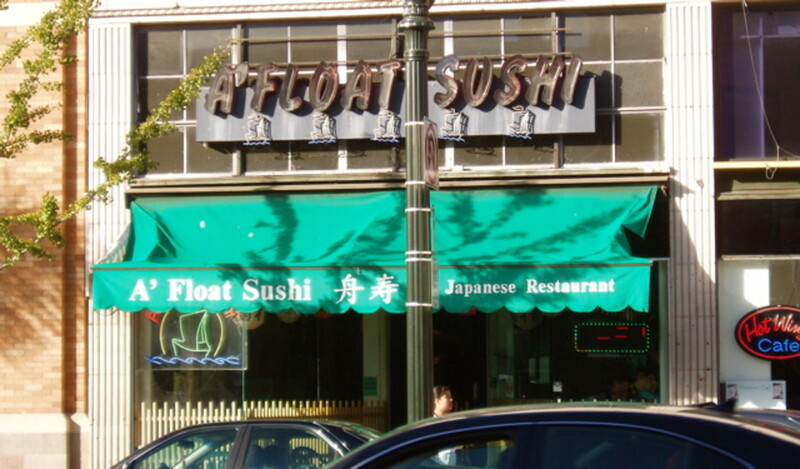 And in later years they have added Chicken Teriyaki to the menu as well as Sushi which I have grown to appreciate as well. And if you want to feel more Western this night then there is always a prime rib of beef available. Lately I have also noticed Yorkshire Puddings and wedge potatoes for goodness sake. Quite often there is a "whole fish" stuffed and done up with a dressing - last time it was Salmon. And to top off your meal there is plenty to choose from to suit your pallet from the fruit and sweets table. There's watermelon, grapes, strawberries in season and lichi fruits if that is your taste. Sweets run from Cheesecake, Black Forest cake, Sugar Puffs, Honey Twists, Various Squares and tarts, Creme Caramel, Rice Pudding and just plain jello if you like, and if there's not much room for more. And don't forget the ice cream, of which there are about ten different varieties and all the toppings that go with it. And where would you be without your Fortune Cookie. I got this from the Mandarin Website and it tickled my fancy, so I am sharing it here! Confucius say: "Big head target for enemy, big heart target for friend"
Enjoyed this beautiful review and I especially liked the mission statement that the Mandarin Chinese Buffet has: " Every customer must be welcomed as soon as they arrive. Every customer must be happy and smiling when they leave." I do love a good Chinese Buffet and this certainly sounds like it's a great one. Voted up and given 5 stars. Great review. Thank you. We have a Mandarin Bouffet. I wonder if they are the same company. 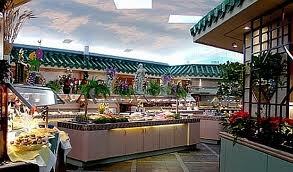 When I worked just off of Steeles I would eat occasionally at the Mandarin in Brampton. 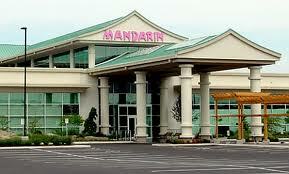 Now that I live just north of Barrie I like to go to the Mandarin in Barrie. Great restaurant and so very popular.